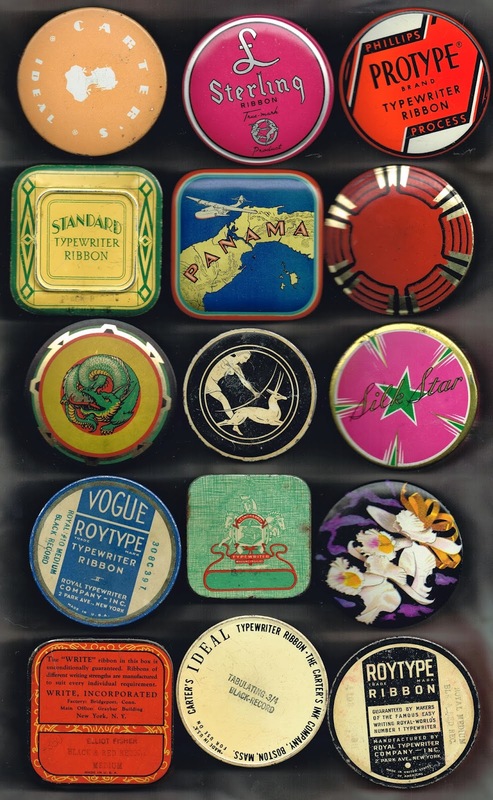 The museum tidy-up (see previous post) has uncovered more typewriter ribbon tins, which had sat stored in a box since the end of the two-month Typewriter Exhibition at the Canberra Museum and Gallery, in September 2012. I'd forgotten I had these ones, which probably include most of the pick of my tin collection. 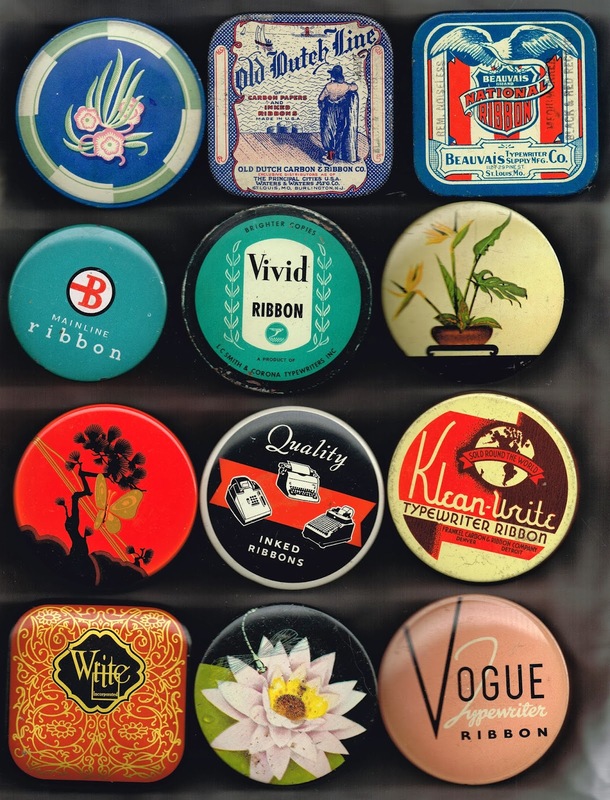 I estimate that these two dozen now take the total of tins shown on this blog to close to 250.